This book has a fascinating set up. Set during the Industrial Age, right as labor woes exploded across the United States, The Lady of Bolton Hill highlights those issues in Baltimore, MD. The historian in me loved that aspect. The story teller loved the history between the two main characters. The way they wanted to continue to see each other as the young adults they'd been 12 years earlier, yet the dramatic ways they'd both changed. One is bent on vengeance. The other on teaching the value of faith and love. One is a reporter. One is a rising industrialist. The story is gripping. The characters rich. The writing lush. I loved this story and am delighted to have a copy to giveaway to one commenter. Be sure to leave a comment below if you'd like a chance to have your own copy of this historical romance. Female journalists are rare in 1879, but American-born Clara Endicott has finally made a name for herself with her provocative articles championing London's poor. When the backlash from her work forces a return home to Baltimore, Clara finds herself face-to-face with a childhood sweetheart who is no longer the impoverished factory worker she once knew. In her absence, Daniel Tremain has become a powerful industry giant and Clara finds him as enigmatic as ever. However, Daniel's success is fueled by resentment from past wounds and Clara's deeply-held beliefs about God's grace force Daniel to confront his own motives. When Clara's very life is endangered by one of Daniel's adversaries, they must face a reckoning neither of them ever could have foreseen. Can they withstand the cost of their convictions while their hearts, and lives, hang in the balance? 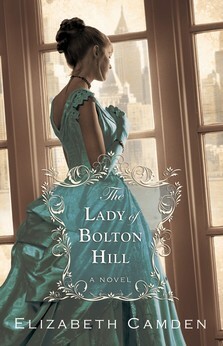 If you would like to read the first chapter of The Lady of Bolton Hill, go HERE. A word from Elizabeth: I am a college librarian in central Florida by day, but by night I can be found pounding out inspirational historical novels the moment the sun goes down. 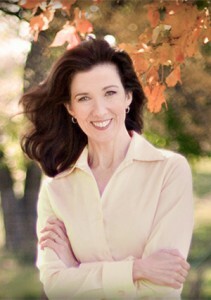 I love writing books about fiercely intelligent people who are confronted with profound challenges. As a rather introverted person, I have found that writing is the best way for me to share my faith and a sense of resilience with others. I would enjoy reading a historical novel with a female journalist. This book looks lovely! I adore the cover, and the story sounds wonderful. Would love to win a copy. :) Thanks for the chance! ohhh, the plot drips with conflict. It sounds fabulous. Thanks for giving us a chance to win! Thank you so much for allowing us to read the first chapter! It certainly left me wanting to read more and wishing I had the book in hand so I can find out what happens with Clara and Daniel. Lady of Bolton Hill sounds interesting, sweethearts reunited after so long. I look forward to reading about their journey. Please include me in the drawing. Thank you. I love to read historical books and when a woman is the heroine and leads the way for other women to follow in a man's world is really awesome. Thanks for this opportunity to enter giveway. This sounds like a great book for me! I am most grateful to be considered for this giveaway!